Rumors that Google will be launching a second-generation Pixelbook device this fall have recently begun to converge in a convincing way. Evan Blass - along with Kevin Tofel over at About Chromebooks - have provided the most compelling evidence yet. Blass, a very reliable leaker, says that Google will launch the device before the end of the year (he's usually right). Tofel, looking at commits for a device in the Chrome repositories codenamed 'Atlas,' discovered it is the only ChromeOS device aside from the current Pixelbook without an SD card slot. Finally, Chrome Unboxed spotted a commit showing that Atlas is booting on an image from the current Pixelbook. The stars, then, would seem to be aligned - we're getting a new Google Pixelbook this year, far more likely than not. So, what do we know about it? For one, it's probably a detachable - Atlas has commits referencing a keyboardless mode for booting into recovery, which makes it all but certain this device can separate from the keyboard. Why go with a detachable? This device could be an attempt to target Microsoft's Surface Pro and Apple's larger iPad Pro, though it's possible Google is gunning for Microsoft's much more powerful Surface Book. That's hard to know for the moment, unfortunately - we don't have a display size or even know which Intel chipset it's using (aside from being in the Kaby Lake family). My guess? The new Pixelbook will probably go downmarket relative to the current Pixelbook in terms of pricing. Chrome OS is known for being a lightweight, battery-friendly operating system that can run well on modest hardware, and stuffing in a beefy CPU requiring a fan just doesn't strike me as very Google. 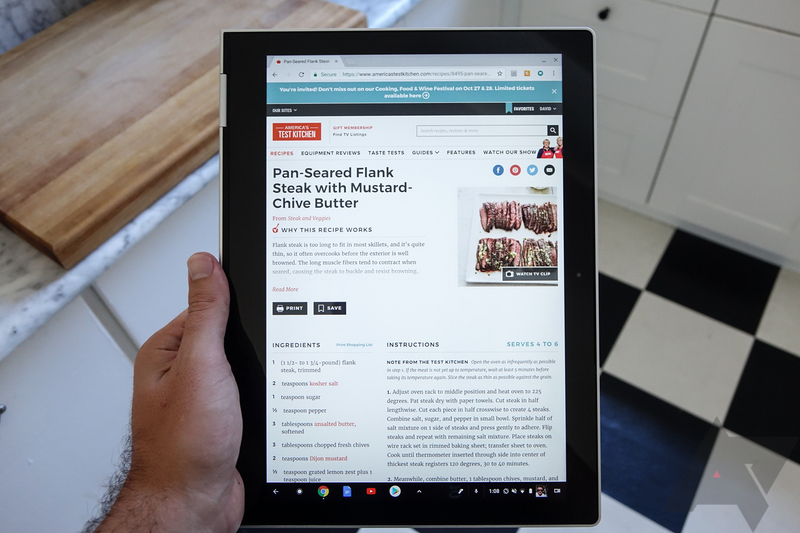 The current Pixelbook can be flipped into tablet mode, but it's far heavier and bulkier than even the largest iPad Pro. We also know it has a 4K screen with a 16:9 aspect ratio. Such a high resolution doesn't generally make sense since Chrome OS leverages some pretty aggressive scaling on high-res devices like the Pixelbook. Upping to a 4K screen simply for the sake of bragging rights is unlikely - my bet is we're going to see Google using those pixels as a showcase for professional creative applications (and 4K video playback), something a detachable tablet is far better suited to than a full convertible device. Given Evan Blass says it has "reduced" bezels, we can also probably guess Google wants it to be fairly portable, which again points to a lower-power CPU. Given the tablet itself has to contain a large battery for standalone use along with the display, main board, and USB ports, that doesn't leave much room for things like a fan or powerful GPU unless this thing's going to be super chunky. That really sums up our knowledge of the device at this point - a 4K detachable tablet with a Kaby Lake CPU and no SD card slot. What we don't know concerns me a little more. 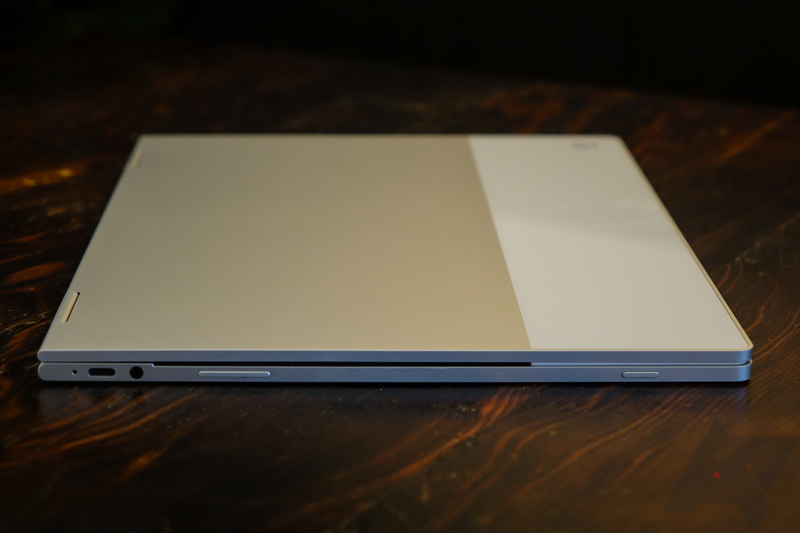 Here are three things I think the next Pixelbook needs to go from being merely the best Chrome OS detachable to one that can actually outshine competitors like the Surface Pro and iPad Pro. This is a gimme. Be it a fingerprint scanner or, far better, an advanced facial recognition system à la Windows Hello, the next Pixelbook absolutely needs biometric login. Especially if it's a detachable - can you imagine typing out your Google account password to get into your tablet? That would be an absolute nightmare. Chrome OS does support unlocking a device via your phone or by using a 6-digit PIN, but those simply aren't anywhere near as convenient as a biometric method. A fingerprint scanner wouldn't be ideal, but it'd be better than nothing. Facial recognition is the gold standard for me on a laptop, though, and I would be pretty disappointed if Google continues to ignore biometrics on Chrome OS. It's simply not acceptable at this point to be without it. What's more, it looks like the iPad Pro will be getting face recognition in an upcoming refresh. Launching the Pixelbook detachable without a similar feature could honestly be a deal-breaker, because you know every high-end laptop is going to be getting this kind of biometric authentication going forward. Google's dallied far too long on this, and it's well past time to address such an obvious product shortcoming. A Pixelbook detachable that works on Project Fi makes so much sense it hurts. You don't pay anything extra to put it on the network, you don't have to deal with tethering, and you can stay connected wherever you are. iPads have offered LTE for years, and while I wouldn't exactly call the 12.9" iPad Pro LTE a bargain (it starts at $929) - let alone the nearly-$1500 Surface Pro LTE - I have to at least hope Google wants to offer data as an option on this new Pixelbook. I'd certainly pay for the upgrade. The original 2013 Chromebook Pixel offered an LTE option - no Google laptop since has, unfortunately. 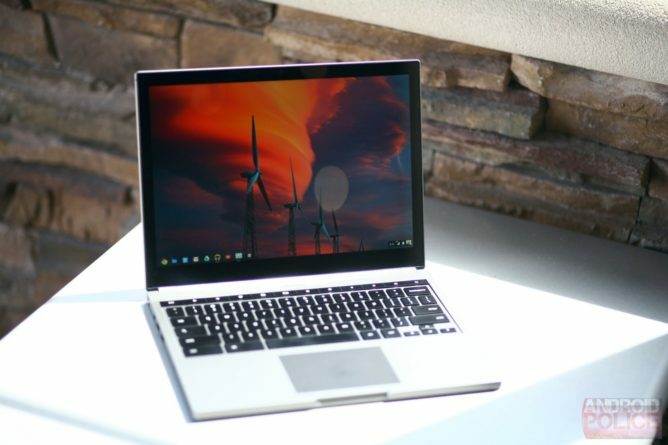 The last Google laptop to feature data connectivity was the generation one Chromebook Pixel, which was priced similarly to the current Surface Pro LTE, at $1449. It's a costly upgrade, to be sure, but LTE is a massive benefit for mobile professionals. And while I understand some people are perfectly content tethering or scrounging for public Wi-Fi, there is simply no replacement for a built-in data connection. The keyboard is my absolute favorite part of the current Pixelbook - it is damn near perfect as far as laptop boards go. The travel is short, but not so short as to feel "hard," the switch actuation is tight and satisfying (unbelievable for a membrane board), and the size and spacing of the keys are just as they should be. The current Pixelbook's keyboard is a dream to type on. Downgrading that experience on a new model would be a major bummer. Now, it may sound weird to say that the new Pixelbook "needs" something the current Pixelbook already has in order to be better. The thing is, my suspicion is that this new 16:9 detachable form factor is going to come with a redesigned keyboard, and possibly one that will aim to be thinner and lighter in order to keep the overall bulk of the device down. I would hate to see Google go the route of one of those awful fabric slabs that provide all the tactile joy of an old TV remote. 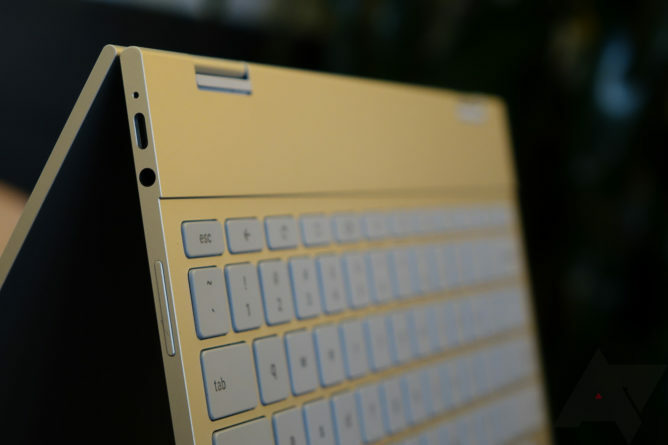 Shave a bit of headroom off the top (there's plenty on the current Pixelbook) of the keyboard and call it a day - don't screw up something that's already outstanding, Google.